We are emerged as a leading manufacturer and supplier, engaged in providing an extensive range of Disposable Items. These items are fabricated suing optimum quality raw materials and latest techniques. 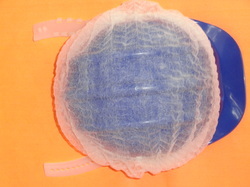 Available in varied specifications, these items’ range includes Disposable Shoe Cover, Disposable Non Woven Plastic Lap Coat-Apron, Disposable Papers, Disposable Plastic Gloves, and others. 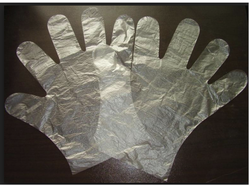 Disposable Plastic Gloves are made of the best quality of raw-materials of plastics. For the purpose of making it we use the non-woven fabric and composable. They are also used for napkin products. It highly tears proof. 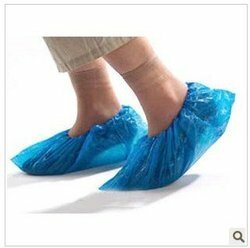 We are engaged in manufacturing and supplying a large gamut of Disposable Shoe Cover. These safety tools are specially designed for the industries such as pharmaceutical, chemical industries, hospitals and for many research works. The fabrication of these covers is dome by using premium quality raw materials and sophisticated technologies. Moreover, each product offered by us is stringently checked on certain quality parameters. 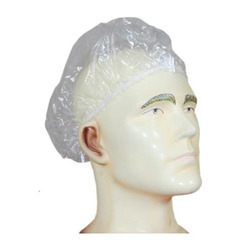 To cater the increasing requirements of our valued clients, we are offering a large array of Bouffant Cap to our valued customers. As per the precise requirement of our clients, we are offering these products in various sizes. Made of light air permeable spun bond PP fabric. Available in green, blue and white colours. Avoids escape of hair and dandruff. 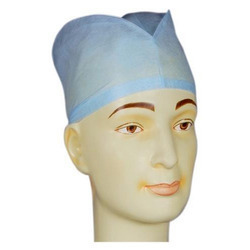 We are among the trusted manufacturers and suppliers of an extensive array of White/Blue Disposable Head Cap. Superior quality materials are used in fabrication of these caps, which are procured from genuine and authentic vendors of the industry. We offer our range in different colors, sizes, finishes and other related specifications. Our range is bio degradable and eco-friendly in nature. 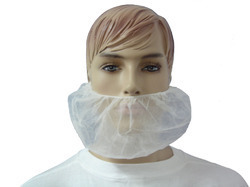 Large size Beard Net made of breathable medical grade non woven fabric. 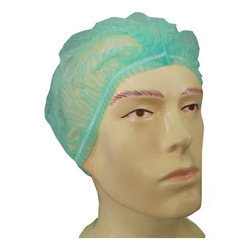 Soft comfortable thread elastic for secure positioning and ergonomic fit over the user's face. • Color: Blue, Green etc.